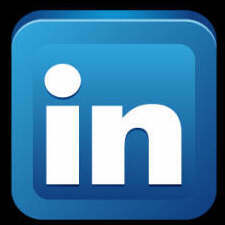 Better late then never for this blog…. I am always excited to get back to La Crosse and fish a tournament, it is just a really fun place to fish most of the time. Not always easy, but usually a good time. I went down with the plan to power fish the grass and slop as that is often the deal in July even though recent high waters would likely have trashed some of the usually good areas on Pool 8. I was able to get down after work on Wednesday evening and get out in the Goose Island area for a few hours before dark, bass fishing was actually pretty easy that night, lots of fish willing to eat my Evolve Nervous Walker Frog, but not much over 2lbs. Because of special Wisconsin DNR regs for summer tournaments, this was only a 3 fish limit, so normal quality 2.5lb tourney fish wouldn’t be good enough for a check this week. That being said, my game plan was to set the hook on everything until I found 3lb plus fish, because I knew that is what was needed to hang in this event. 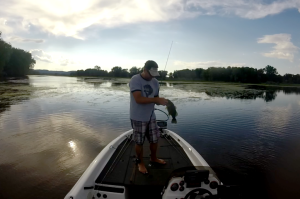 Bass Fishing is often just as awesome as the scenery in La Crosse! Through the next two days of practice, no shortage of bites running all over the bottom half of Pool 8, but 3lb fish were rare and spread out for me. I found plenty of fish that would be decent in a regular tourney, so I was going to basically going to have to get a lucky bite in this tournament. At this point, I don’t remember my take off number or flight. I started on some banks in the Goose Island area, caught a quick keeper on a buzzbait and another competitor started opposite bank from me and caught 3 good fish, bummer deal, that was my next stop. Decision making and timing are such huge deals in tournament fishing. After that I went to flip grass edges with deeper drops, that place dried up from previous days. 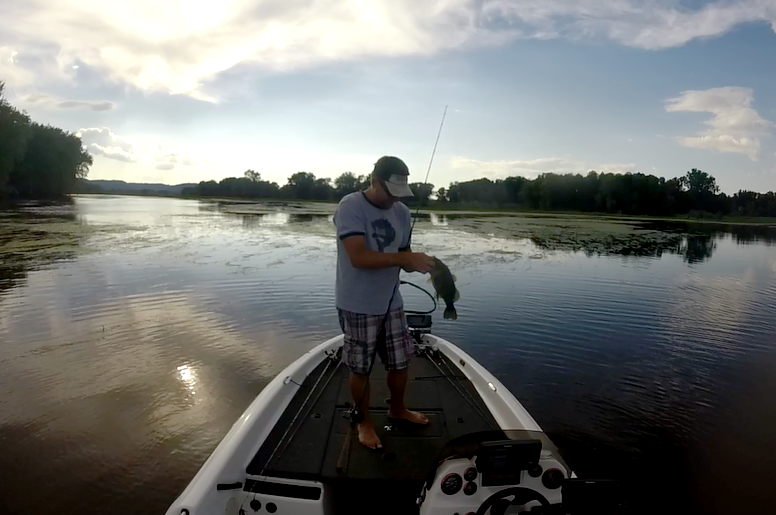 Quick stop to fill my limit on a smallie spot that produced small keepers and then back to frogging and flipping. The following video shows my 3 best keepers from the next area and the 3 fish that I weighed. Caught on Nervous Walker Frogs and Evolve Kompak Craw punched in grass mats. Tried a handful of other areas during the day, but I ended up with exactly what I had in practice, 3 fish for 7.5lbs and a slightly better then average finish but no check. 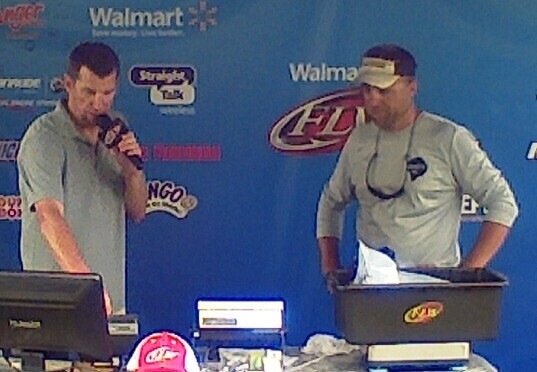 Next tourney BASS Nation Northern Divisionals on Monroe Lake in Bloomington, IN. 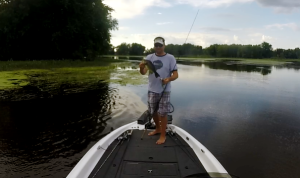 What I really needed in this event was a bite like this one in the below video from Lake Waconia!